A Democratic proposal to raise the federal minimum wage to $10.10 an hour got the backing Tuesday of 75 leading economists. The group includes seven Nobel laureates, among them Joseph Stiglitz and Peter Diamond, and several former Obama and Clinton administration economists. They lent their support to legislation known as the Fair Minimum Wage Act, introduced in the House by Rep. George Miller and in the Senate by Sen. Tom Harkin. "The vast majority of employees who would benefit are adults in working families, disproportionately women, who work at least 20 hours a week and depend on these earnings to make ends meet," the group wrote in a letter to congressional leaders and to President Obama, who backs the Miller-Harkin proposal. The legislation would phase in the minimum wage increase from today's $7.25 an hour to $8.20 in the first year, then to $9.15 the year after and to $10.10 in the third year. Thereafter, it would be indexed to inflation. 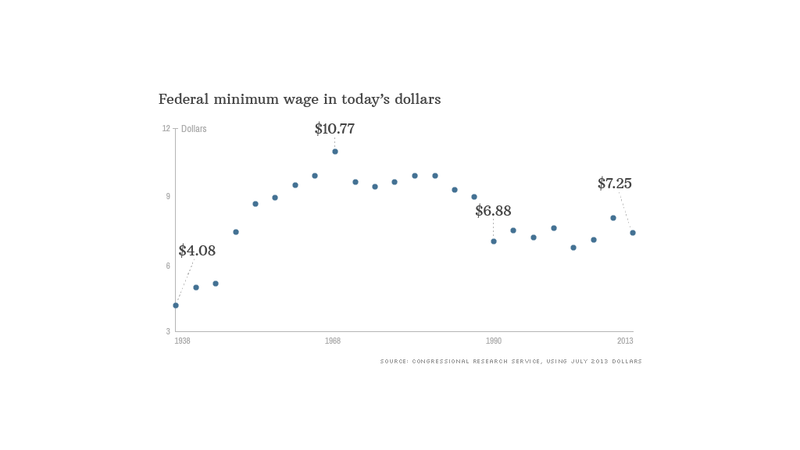 Jason Furman, chairman of the president's Council of Economic Advisers, noted Tuesday that the minimum wage is effectively lower on an inflation-adjusted basis than it was in 1950, when it was worth $7.28 in today's dollars. If the legislation passed, a full-time minimum wage worker would see a bump in pay from about $15,000 a year to roughly $21,000. That could put a family of three above the poverty line. 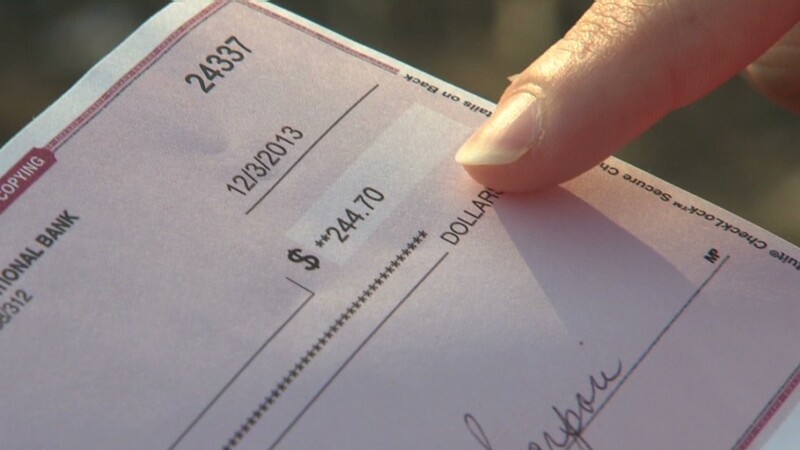 Only about 1.6 million hourly workers currently earn the minimum wage, according the Congressional Research Service. But the Economic Policy Institute, a liberal think tank that organized release of the letter, estimates that another 17 million hourly workers who now earn between $7.25 and $10.10 an hour would see higher wages over the three years of a phased-in increase. And millions more who make above $10.10 would indirectly benefit if employers adjust pay scales commensurate with a minimum wage increase, EPI estimates. The Miller-Harkin proposal would also raise the hourly base for workers paid in tips. It would increase for one year to $3 from $2.13 currently. Then the proposal calls for the base to be adjusted annually so that it eventually matches 70% of the federal minimum wage. Reaching that 70% peg is expected to take about six years, after which it would be adjusted annually for inflation. The economists asserted in their letter that "research suggests that [an increase] could have a small stimulative effect on the economy as low-wage workers spend their additional earnings, raising demand and job growth." Critics say a higher minimum wage will hurt jobs. Their argument: employers will hire fewer people or reduce their hours. And they may compensate for the extra expense in other ways that can hurt consumers, for instance by raising prices. In any case, political analysts don't think there's much chance for passage of a minimum wage hike this year. "I just don't see it getting through the House," said Greg Valliere, chief political strategist for the Potomac Research Group. But the idea is likely to feature prominently in stump speeches during this midterm election year. "This is all about Democrats positioning to run in the elections on an inequality theme. Republicans are going to have a tough time responding, but I highly doubt the response will be to allow a minimum wage hike," said Sean West, U.S. policy director for the Eurasia Group. Rep. Miller and Sen. Harkin are more optimistic. Harkin said Tuesday the Senate may take up minimum wage legislation in a few weeks. If the first attempt fails, it won't be the only shot this year for Republicans who oppose the increase "to change their mind." States don't have to adopt the federal minimum wage, but in states where the minimum wage is different, "the employee is entitled to the higher wage of the two," according to CRS. Just this month, the minimum wage rose in 13 states and four cities.